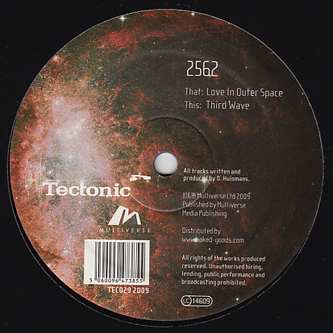 Dubstep release of the week comes from 2562 with the shocking 'Love In Outer Space' and 'Third Wave' cuts dropping smart and heavy on Tectonic. It's hard not to fall for 'Love In Outer Space', easily one of the most abstract and stylish cuts we've heard from Dave Huismans casuallystepping forward from the minimalism of previous efforts with large splashes of melodic colour strewn across the tipsy-pitched rhythm. 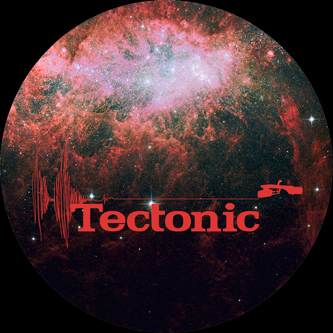 On the flip 'Third Wave' is a slightly more standard 2562 cut, but that's no bad thing as this reminds us of his 'Techno Dread' or 'Hijack' tracks with uptempo 4/4s offset by crafty drums and minimised vibes on the keys. Just try and hold yourself back from this!